HOLMARC BioLAB series UV-Vis spectrophotometer is a high-performance, reliable, and exceptional value instrument. 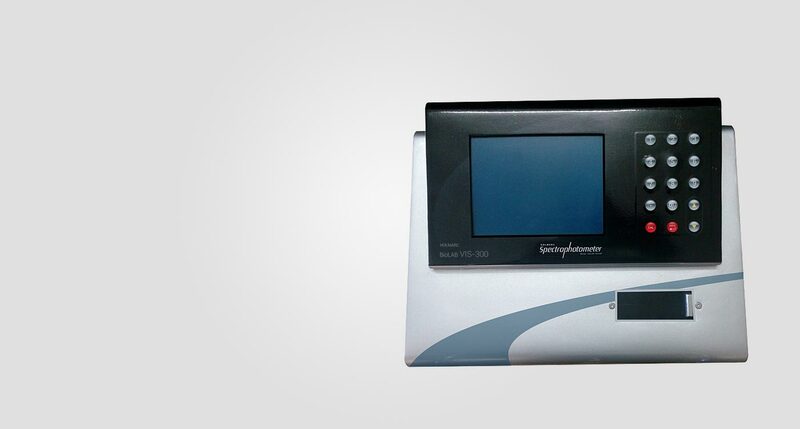 Unlike other entry level spectrophotometers, it employs classic Czerny - Turner monochromator design, normally available only with advanced models, which ensures low stray light. Micro-stepping drive simplifies the mechanical complexity, reduces maintenance and improves longevity. 1200 lines/mm blazed holographic grating is used as the dispersion element providing high wavelength resolution. It also employs a sigma delta ADC of 16 bit resolution for photometric measurements, a resolution higher than most of the spectrophotometers available in this price range. Large LCD and friendly interface make the operation extremely easy. It is used to plot absorbance v/s wavelength graph. The data can then be analyzed for peaks and valleys. These models also feature PC control functions based on Holmarc ‘s Spectra PhotoANALYTE software which allows users for photometric measurements, spectrum scanning, quantitative determination,data processing etc. Photometric mode measures the absorbance or transmittance at a single wavelength or at multiple wavelengths. 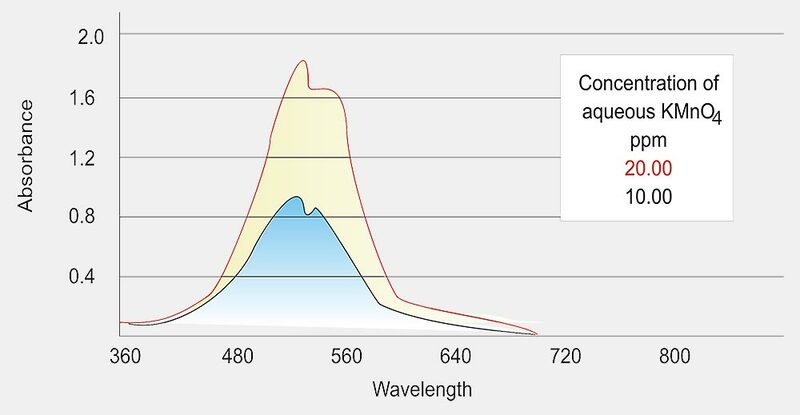 Spectrum mode obtains sample spectra using wavelength scanning. Changes in the sample can be tracked using repeated scans. Quantitation mode generates a calibration curve from standard samples and uses it to calculate the concentrations of unknown samples. Kinetics mode measures the change in absorbance as a function of time and thereby obtains enzymatic activity values. Time scan mode measures the change in absorbance, transmittance or energy as a function of time. Large LCD and friendly interface make the operation extremely easy. Precise measurements over a wide photometric range. Excellent signal-to-noise ratio for the entire UV to NIR spectral range. We manufacture quartz cells and cuvettes of custom specifications for spectrometer, spectrophotometer, colorimeter and other instruments. The cuvette holder unit is manufactured for various cuvette sizes and applications. Some cuvette holders are equipped with SMA fiber connector sand collimators. A variety of accessories are included such as test tube holder, temperature control holder, long path length cuvette holder & multiple cell holder to enhance different application needs.